The healthcare community is experiencing a shift toward value-based care with a focus on improving patient outcomes and experience. This includes prenatal care and birth outcomes. Premature birth (before 37 weeks gestation) and its complications are the largest contributors to infant death both in the United States and globally. Each year, the March of Dimes issues a premature birth report card for each state and select counties. For 2018, South Carolina earned a D grade, and in the tri-county area specifically, 10.5% of all live births were born preterm. 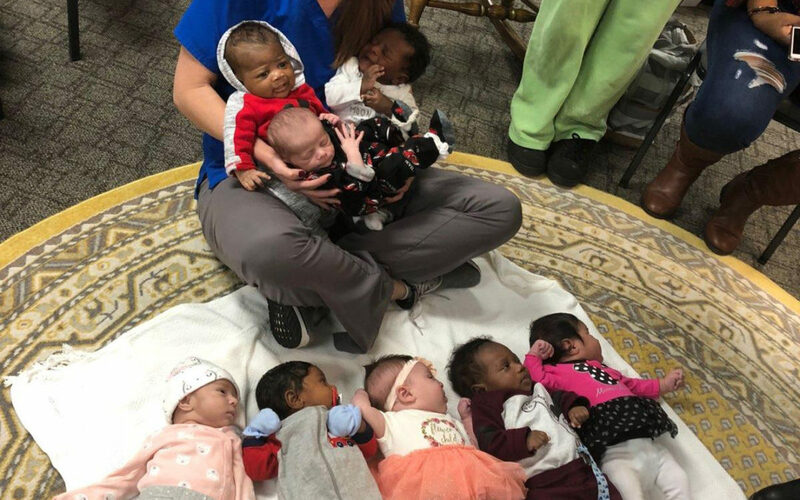 That is why in addition to traditional prenatal care, Lowcountry Women’s Specialists began offering CenteringPregnancy® — an evidence-based model of group prenatal care that improves maternal and child health outcomes and reduces health disparities. While all expectant mothers can benefit from this model of prenatal care, Centering can be especially beneficial for first-time moms, high-risk patients, military families, those that do not have a strong support system nearby and African American women — a population in which the preterm birth rate is 52% higher than the rate among all other women in South Carolina. Expectant mothers follow a recommended schedule of 10 prenatal visits with each visit lasting between 90 minutes and two hours. These prenatal visits include your doctor, nurse and mom group members. Each group includes an average of 10 women with due dates around the same time. Each mom meets individually with her physician for a one-on-one assessment and engages in her care by measuring her own weight and blood pressure, and recording her own health data. Lowcountry Women’s Specialists has locations in North Charleston and Summerville. They are the only private practice to offer CenteringPregnancy® in the Lowcountry, and the only healthcare provider to offer it in the North area. To learn more about this beneficial alternative to traditional prenatal care, visit LowcountryWomen.com or call (843) 797-3664.